Provide comfort for the family of Jackie Calahan with a meaningful gesture of sympathy. Jackie Lee Calahan, 79, of Buckner, MO, passed away Friday, February 8, 2019. A visitation will be held from 11-1pm on Saturday, February 16, 2019 at Carson-Speaks Chapel 1501 W. Lexington, Independence, MO 64052. Graveside service will be at 2pm on Saturday, February 16, 2019 at Oakland Cemetery, E. Truman Road and S. Cartmill Road, Independence, MO. Jack was born January 27, 1940 in Potosi, MO to Elmer Moses and Lucille Ellen (Wilkerson) Calahan. Jack left school early to begin working to help support his large, 14-sibling, family. He was a hard, dedicated worker from then on. In 1971, Jack married Ruth Beville and they had 9 children between them. Jack worked so much that many would say that work was his hobby. When he did break from work, Jack enjoyed antique cars and trucks and his grandchildren and great grandchildren, including a special granddaughter, Haley and “great grandson”, Dakota. He was larger than life, silly and funny. Jack was a jokester and could talk to anyone. He had a big heart and was a giving soul who enjoyed giving specifically to charities. Jack was super smart, especially when it came to math. Jack is survived by his wife Ruth Calahan; daughters Glenda Grimes, LeeAnn Espinola, Jackie Hallada, and Pamela Calahan and husband, Nelson Robaina; sons Rick Calahan, Mickey Hyatt and Phillip Calahan; stepson, Michael (Joann) Simpson; stepdaughter, Debbie Potts; brother, Bobby (Rhonda) Calahan; sisters Linda Boerckel, Lu Jacob and Sue Norden; several nieces and nephews; and many grandchildren and great grandchildren. He is preceded in death by both parents and siblings Goldie Helms, Melvin Calahan, Wilma Oakley, Pauline Wells, Ruby Lilley, Betty Godsey, Ruth Shaw, and Deborah Davis. 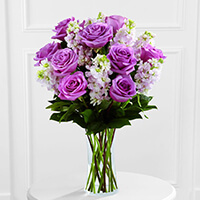 To send flowers in memory of Jackie Lee Calahan, please visit our Heartfelt Sympathies Store. Consider providing a gift of comfort for the family of Jackie Calahan by sending flowers. Carol Felix John Felicia Steve Mike Tina & family sent flowers to the family of Jackie Lee Calahan. In Loving Memory of Jack, rest in peace. Carol Felix John Felicia Steve Mike Tina & family purchased the The FTD All Things Bright Bouquet for the family of Jackie Calahan.